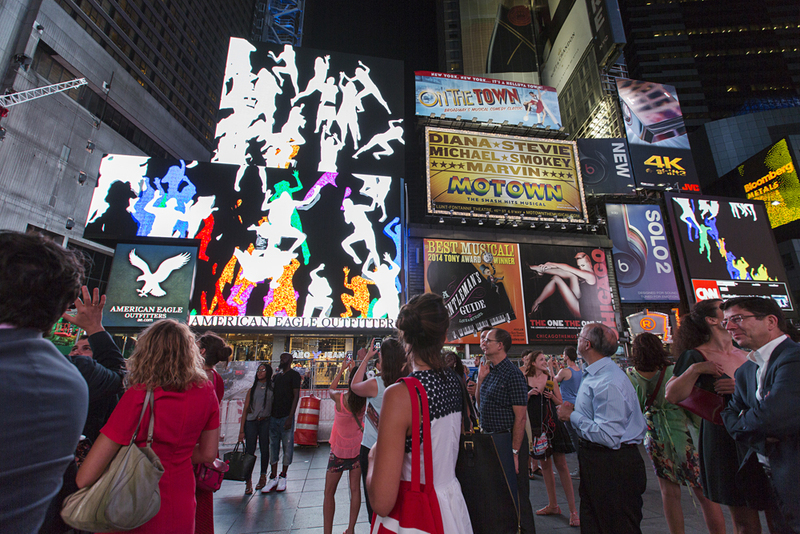 Using methods of public intervention and video installation, Storming Times Square is a project that symbolically releases our fantasies of overcoming imposed obstacles in our lives. Engaging individuals as spectators and participants, a staged interaction took place between a “stormed” site and collected imagery of a virtual public. 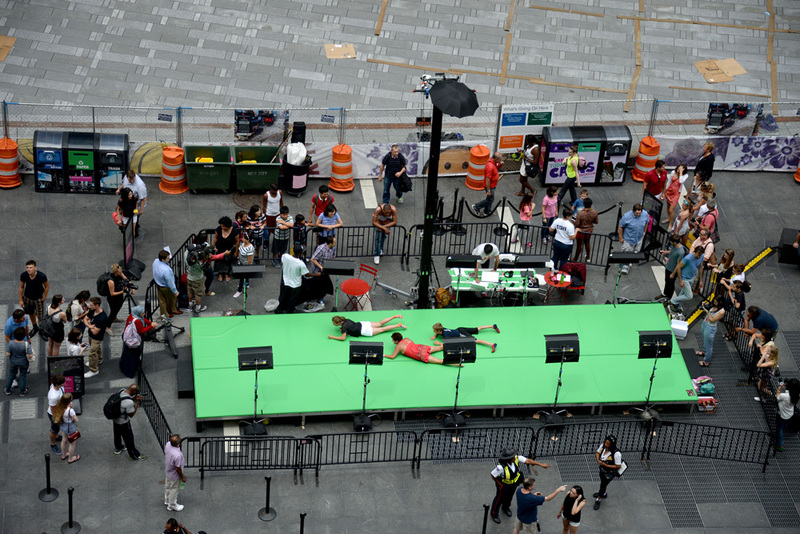 The video display content was be the result of a public-participation performance. 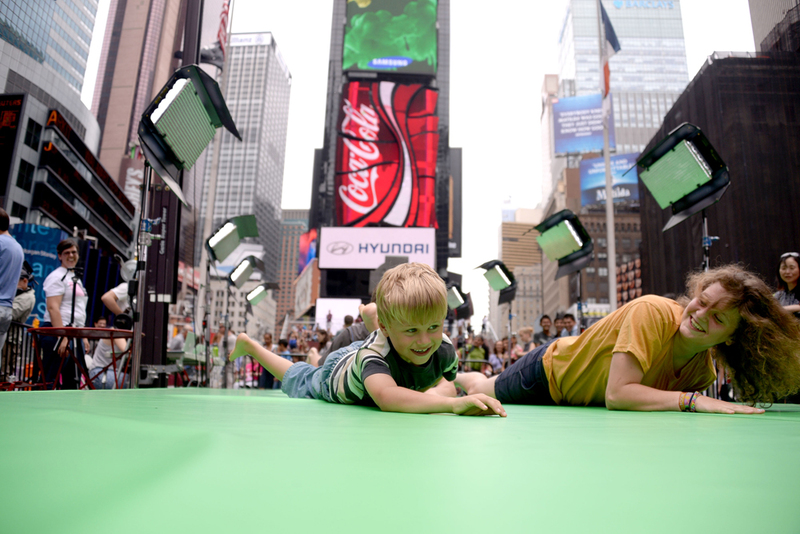 In the first phase of the project (July 24-30, 2014) the local Times Square community, celebrities and neighborhood pedestrians were invited to walk, crawl and be creative over a green-screen surface while being captured by an over-head video camera. 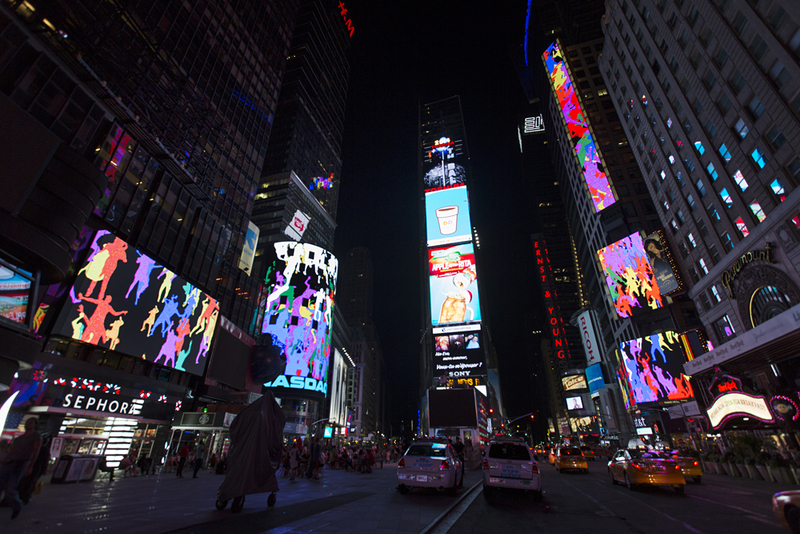 The result was a dynamic video animation with both realistic and abstract forms that was screened on LED billboards in Times Square (September 1-30, 2014). 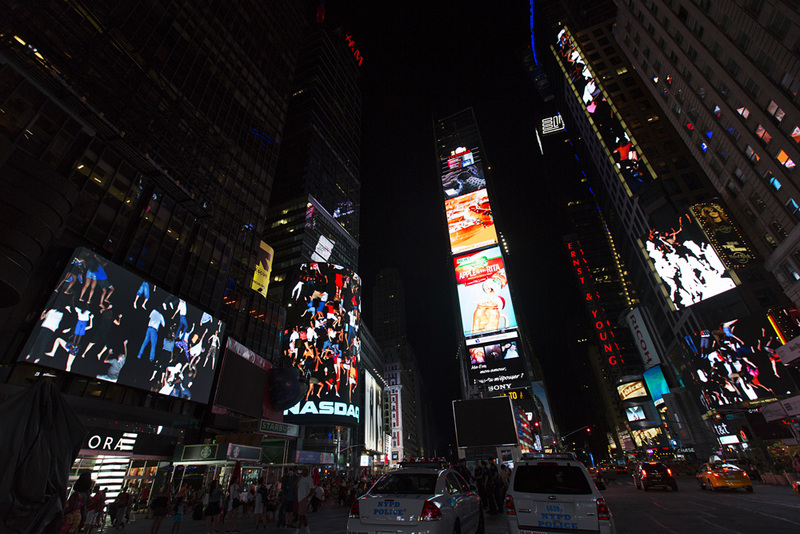 Storming Times Square is born from a desire to have viewers project themselves, literally and metaphorically, onto their immediate environments. 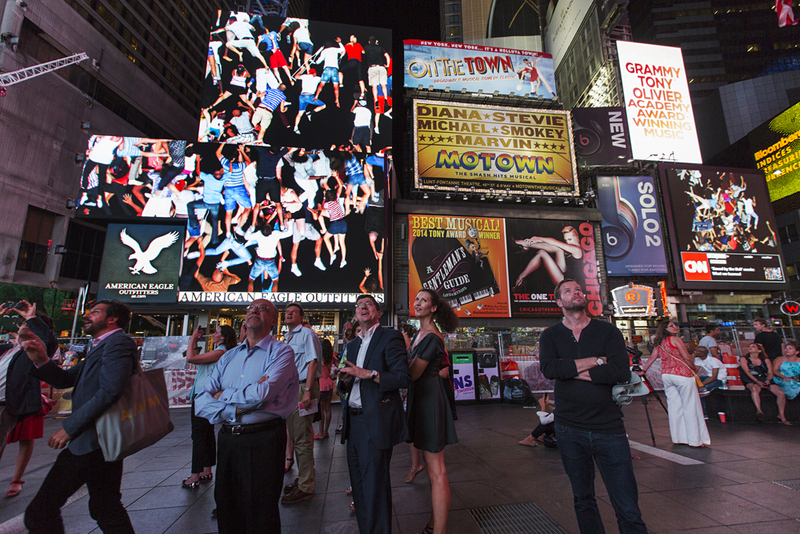 This public art project is Daniel Canogar's largest to date in New York City. Photo and video credit: Daniel Canogar, Sofía Montenegro, Ka-Man Tse, Clint Spaulding, Sara Kinney, Chris Romero.